At his family reunion, Jesse Bear visits with aunts, uncles, grandparents, and cousins galore. Readers will love being introduced to this lively extended family, and they will celebrate with Jesse bear when he is finally old enough to do something very special. 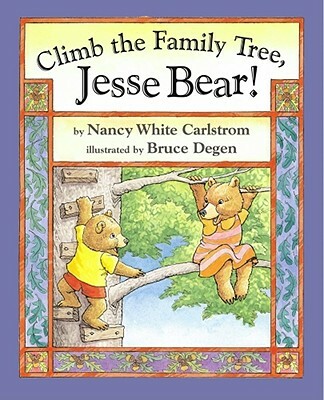 Nancy White Carlstrom and Bruce Degen once again explore a preschooler's world through the eyes of the always endearing Jesse Bear.